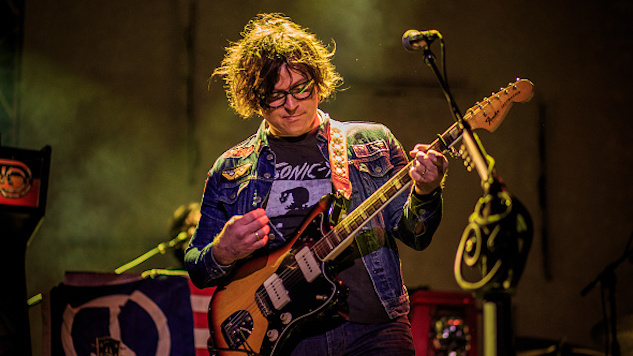 Ryan Adams recently announced that he will be performing The Rolling Stones’ classic 1972 album Exile in Main St. in full at a one-off performance in New Orleans. Billed as “Exile On Bourbon St.,” the event will take place at the Big Easy’s Saenger Theatre on May 5. A legendary group of New Orleans musicians will join Adams and the group, revealed on Wednesday, includes Cyril Neville (The Neville Brothers and The Meters), keyboard star John Medeski (Medeski Martin & Wood), horns master Mark Mullins (Bonerama), distinguished funk drummer Terence Higgins (Dirty Dozen Brass Band) and more. Tickets are on sale now via Ticketmaster.com, Ticketmaster locations or by phone at 800-745-3000. Local fans can also purchase tickets at the Saenger Theatre Box Office. Listen to a 2006 Adams performance from the Paste Cloud below.